Rolls-Royce Ghost is a perfect mix of contemporary interiors and technique. The car has been named “Ghost” to honour the Silver Ghost which was first produced in 1906. 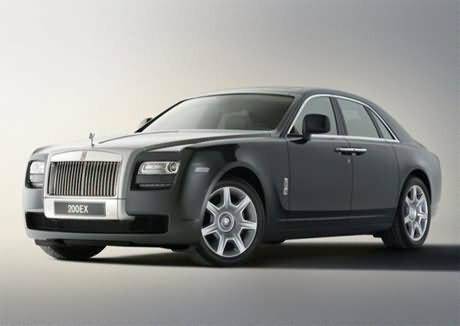 Rolls-Royce Ghost appears in 8 beautiful colors – Black, Pine Green, Dark Spice, Fleet Blue, Consort Red, Moccasin, Crème Light and Seashell. The exteriors consist of Adjustable Headlights, Fog Lights, Power Adjustable Exterior Rear View Mirror, Rear Window Defogger, Power Antenna, Rear Spoiler, Removable/Convertible Top, Roof Carrier, Sun Roof/Moon Roof, Side Stepper and Outside Rear View Mirror Turn Indicators. The broad Alloy wheels give a sturdy look to the car. The 5 seater car has 4 doors. 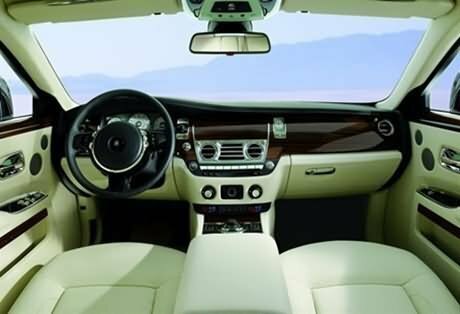 Rolls-Royce Ghost has various comfort features for the occupants. The car has Multifunction Power Steering, Power Windows, Powerful A.C. with Automatic Climate Control and Air Quality Control, Remote Trunk Opener, Remote Fuel Lid Opener, Low Fuel Warning Light, Accessory Power Outlet, Trunk Light and Vanity Mirror. Other comfort features include Rear Seat Headrest, Rear Seat Centre Arm Rest, Height Adjustable Front Seat Belts, Cup Holders – Front, Rear A/C Vents, Seat Lumbar Support, Cruise Control and Parking Sensors. The car also has Heater, Adjustable Steering Column, Tachometer, Electronic Multi-Tripmeter, Fabric Upholstery, Glove Compartment, Digital Clock, Outside Temperature Display, Cigarette Lighter, Digital Odometer and a Hi-tech Audio System. Rolls-Royce Ghost has various advanced safety features. Standard safety features include Anti-Lock Braking System (ABS) with Brake Assist, Central Locking, Power Door Locks, Child Safety Locks, Anti Theft Alarm, Driver Airbag, Passenger Airbag, Side Airbag-Front, Side Airbag-Rear, Day and Night Rear View Mirror, Seat Belts, Seat Belt Warning and Door Ajar Warning. Other Safety features include Side Impact Beams, Front Impact Beams, Traction Control, Adjustable Seats, Keyless Entry, Tyre Pressure Monitor, Vehicle Stability Control System, Engine Immobilizer, Crash Sensor, Centrally Mounted Fuel Tank and Engine Check Warning. Rolls-Royce Ghost has Turbo Charged, V12, Petrol Engine which produces maximum power of 563 bhp at 5250 rpm and maximum torque of 780 Nm at 1500 rpm. The price of Rolls-Royce Ghost is Rs. 1,30,00,000 (taking New Delhi as base price location). However, the price specified is tentative price which excludes tax, registration, insurance and cost of accessories.